The EPA is the agency charged with implementing and supporting recycling programs across the country. In that capacity, they also do a lot of the research. A recent study found that in one year, there was close to 260 million tons of Municipal Solid Waste generated in the United States alone. Of that number, 34% was recycled. That translates to around 89 million tons. The rest was sent to a landfill. Raising that recycled number by just a few percentage points can make a huge positive impact on the environment. Plastic represents around 13% of the amount of what is trashed each year. Of that total, 33 million tons only 3 million tons were recycled. That means only 9% of that amount was kept out of landfills. That is a number that is totally dependent on people making the choice to recycle. Why does it matter? We can save 66% of energy used in making plastics by using recycled materials vs. new plastic. 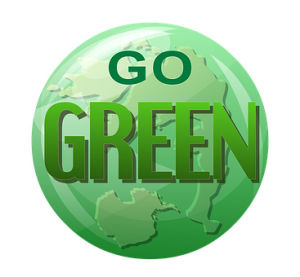 That breaks down to around 2,000 gallons of gas being saved with just one ton of recycled plastic. And every hour, we toss out around 2.5 million plastic bottles. Most of those go into the trash instead of the recycling bin. Electronic waste represents a large portion of what is tossed out in the trash. Fortunately, the numbers of recycled e-waste is going up. In 2010 is was at 10%. Now it is closer to 45%. That is important because the electronic waste that ends up in a landfill accounts for 70% of toxic waste. If you want to expand your recycling, then you need to partner with the right disposal companies. Junk King Fort Lauderdale is a perfect example of a good recycling partner. They’ve been dedicated to an eco-friendly way of disposing of junk since they began collecting it over twelve years ago. Junk King maintains an average diversion rate of 60%. That is a very respectable number. When you need to get rid of junk and electronics, count on Junk King Fort Lauderdale to dispose of it the right way. This entry was posted in Fort Lauderdale Junk Removal and tagged clutter, Junk King, while recycling on November 27, 2017 by Junk King. Last updated November 27, 2017 .